I’ve always been a sucker for strays, and nothing tears at my heart like a wounded animal. You can keep your fancy pedigree dogs, your trendy cat breeds du jour – just give me an old, beat-up or abandoned shelter pet to love. 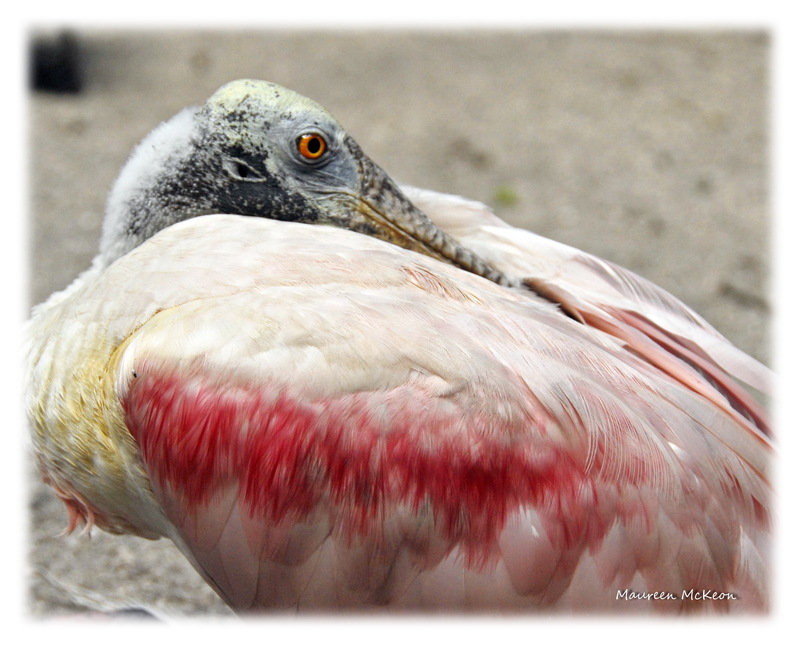 Injured roseate spoonbill in Flamingo Gardens aviary. 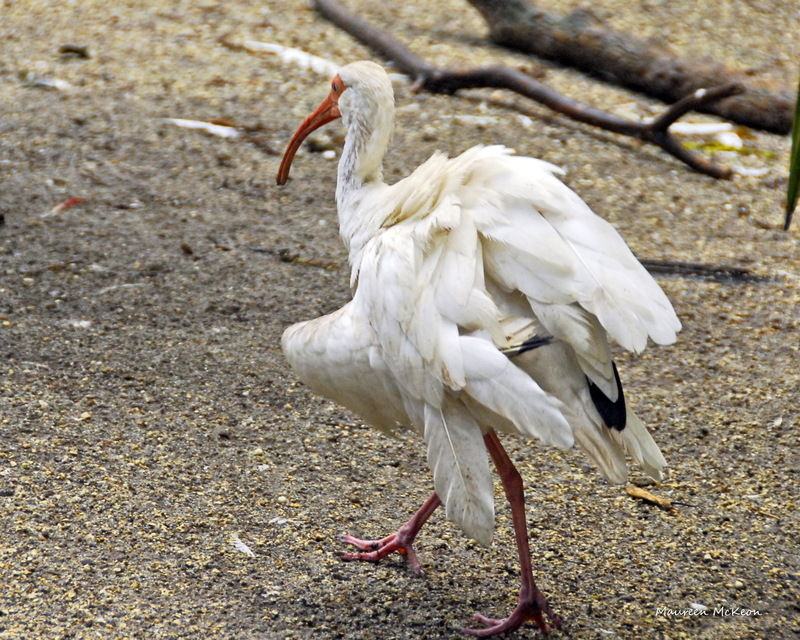 Guess that’s why I love visiting Flamingo Gardens and Wildlife Sanctuary in Davie, Florida. 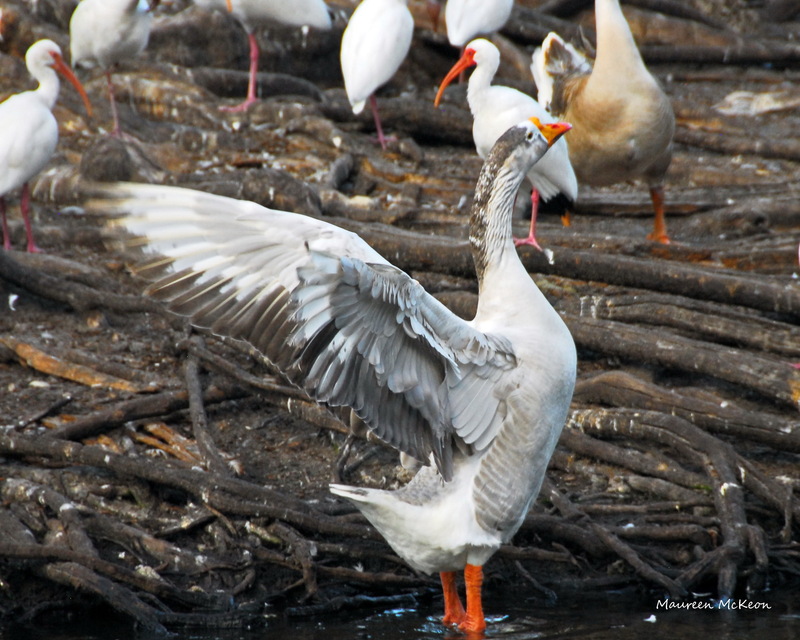 Now Flamingo doesn’t boast the picture-perfect landscapes and elevated boardwalk vistas of the Palm Beach wetlands I frequent, but what they do offer, besides their beautiful gardens, is a sanctuary for injured and non-releasable Florida wildlife and birds. As you can see, many have broken wings and are unable to fly. Some are limping. 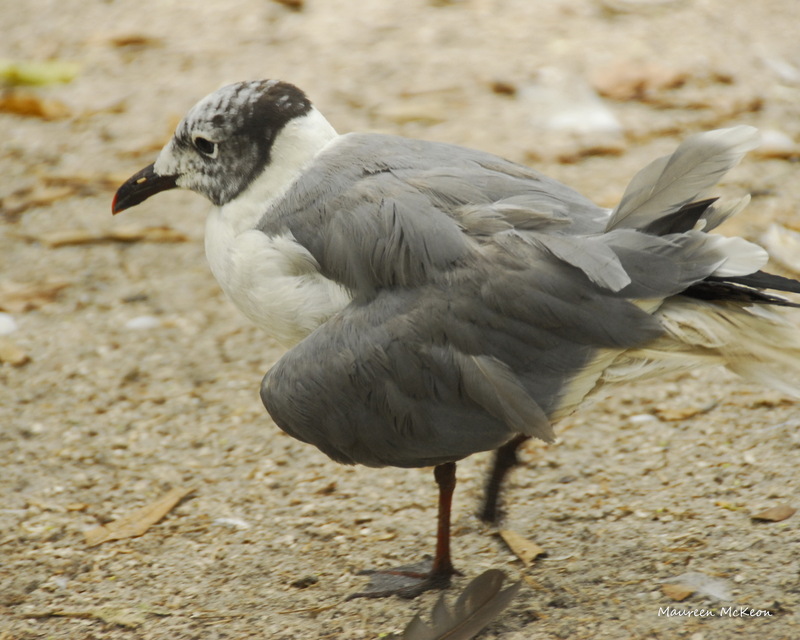 Gull with a broken wing. But then there are those whose injuries are not readily visible. 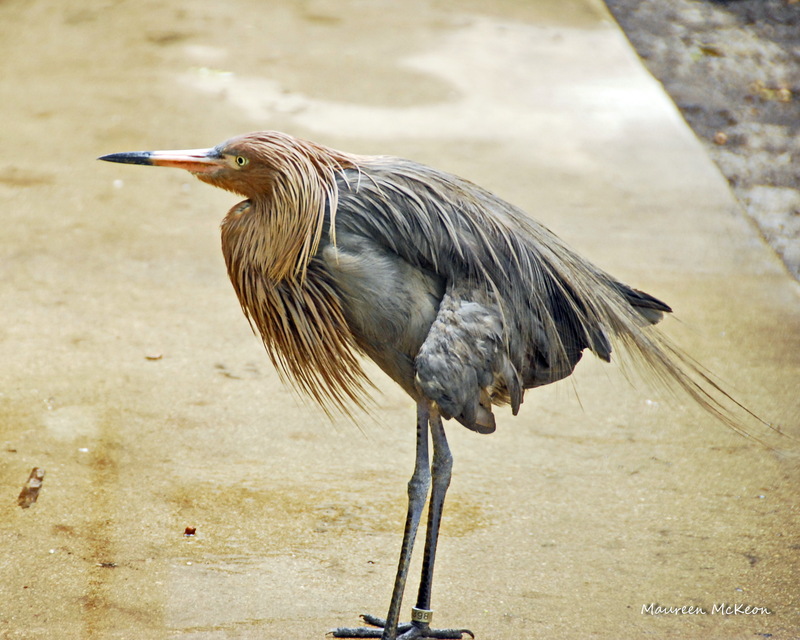 Take this handsome fellow I met this week – a reddish egret named Red. As I discovered when I attempted to approach him for a photo, Red doesn’t take well to visitors of the human species. In fact, he chased me right off the path! You might think he’s just a mean and nasty bird, but there’s a lesson about judgement here. It turns out Red is a new resident. He was kept as a pet and obviously traumatized, hence his distrust and hostility towards people. According to staff, he is only placed in the aviary for a few hours a day and closely monitored with the hope that he will eventually feel less threatened by humans. 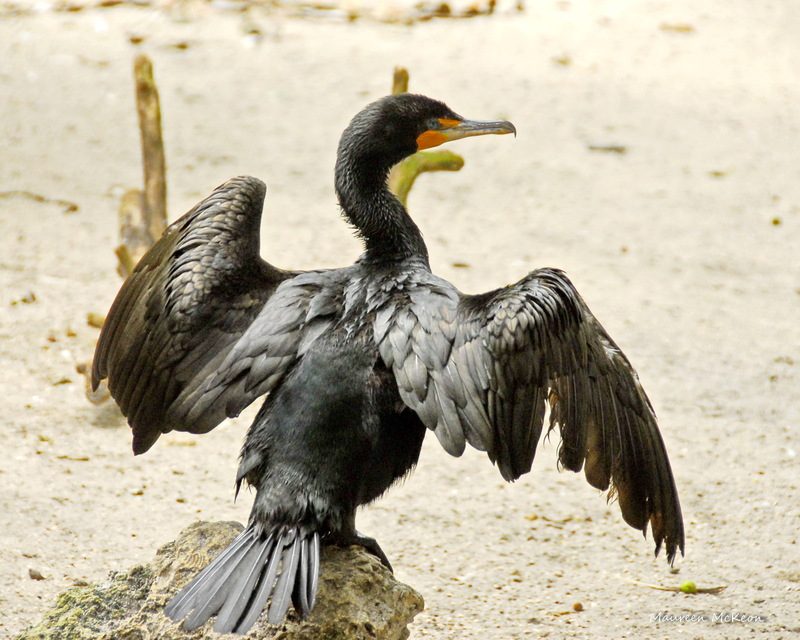 Double-crested cormorant dries his injured wings. No matter how broken we feel or how deep our scars, we are beautiful survivors. We grow through grace, forgiveness and acceptance: not bitterness, resentment and self-pity. We spread our broken wings without shame and keep on trying to fly. We all need a safe place – we must find our own inner sanctuary. And when you’re tempted to judge, remember Red. Don’t be fooled by outward appearances! We are all the walking wounded, but with love and compassion, some of us become warriors. Maureen you have done it again ! Another great lesson to live by.